Three random facts about me: I love animals; I love the beach and I love chilling in my hometown, the Sunshine Coast. So it will come as no surprise to those who know or follow me on Instagram (@amodernwayfarer) I jumped at the opportunity to experience all three of these loves at the same time! 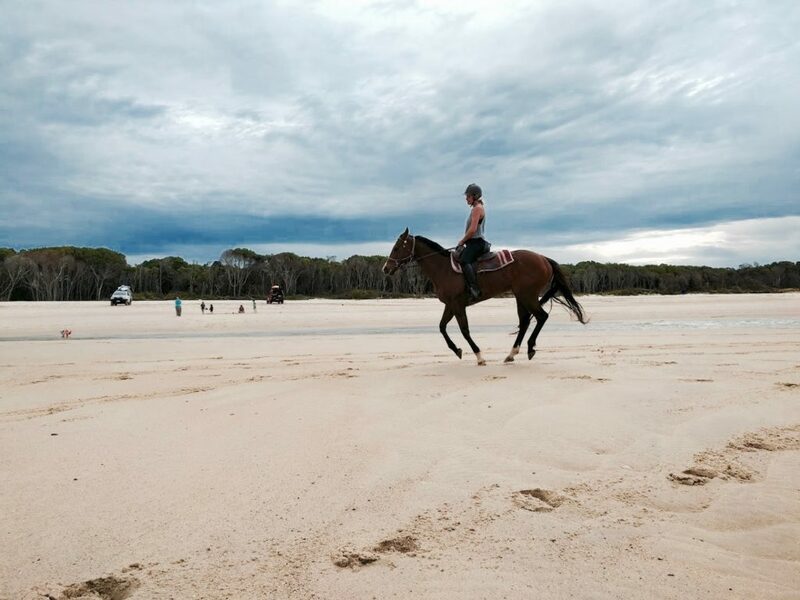 Sunshine Coast Horse Riding… um yes! Immediately all my teenage Black Beauty fantasies came flooding back – galloping into the sunset, wind in my hair, waves splashing against hooves… and in reality this actually wasn’t far from the truth. 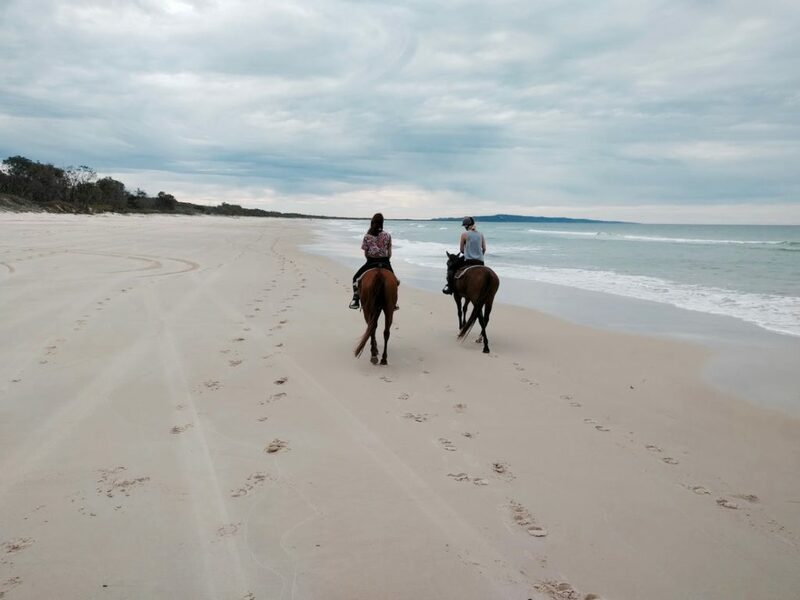 Said experience is run by Noosa Horses, a premium beach riding tour on Noosa’s ruggedly pristine North Shore. 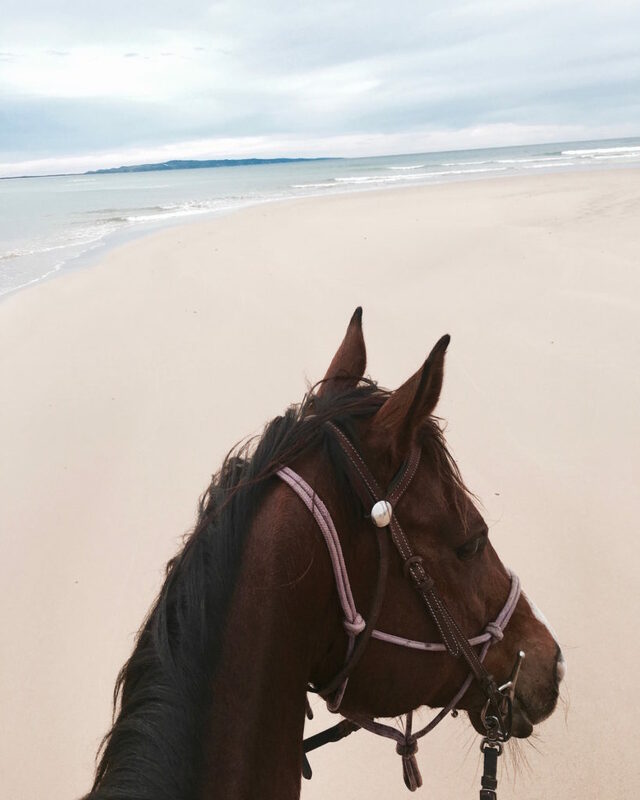 As one of only two companies offering Sunshine Coast horse riding in this location on the beach, and the lack of people hanging out on the North Shore in general, you’ll pretty much have the beach to yourself. Runs two, 2-hour beach rides every day of the week. Only two spots available per ride, so you are guaranteed a very personalised ride. Noosa Horses founder, Patrick Lloyd, who is a top bloke might I add, will cater to all your Instagram needs by photographing the ride and sending the images through, free of charge. Price for a ride is $155 AUD per person. No experience necessary – catering to beginners right through to advanced level riders. Go at your own pace – fast or slow. If you’re a competent rider you can gallop to your hearts’ content. 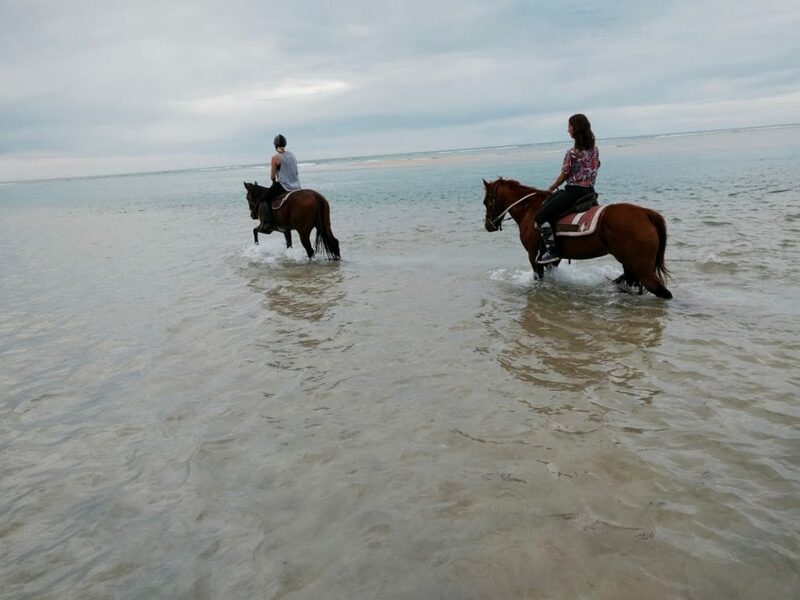 To get to the North Shore, and indeed the Noosa Horses meet-up point – First Cutting, you must cross the river on the 2-minute car-ferry from Tewantin. The car ferry costs $14 AUD return. Visit the Noosa Horses website here. 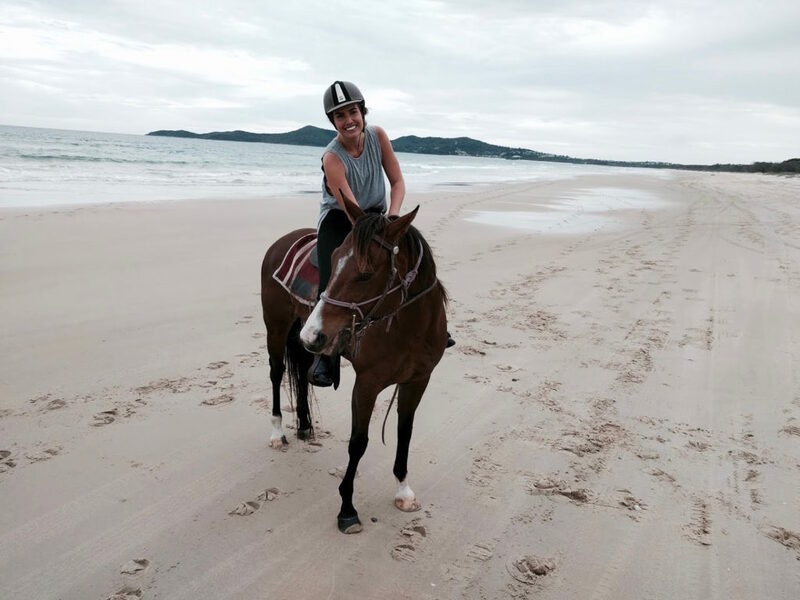 Stefanie had a complimentary gallop with Noosa Horses in September 2016. As always, she’s keeping it real and all opinions are her own.